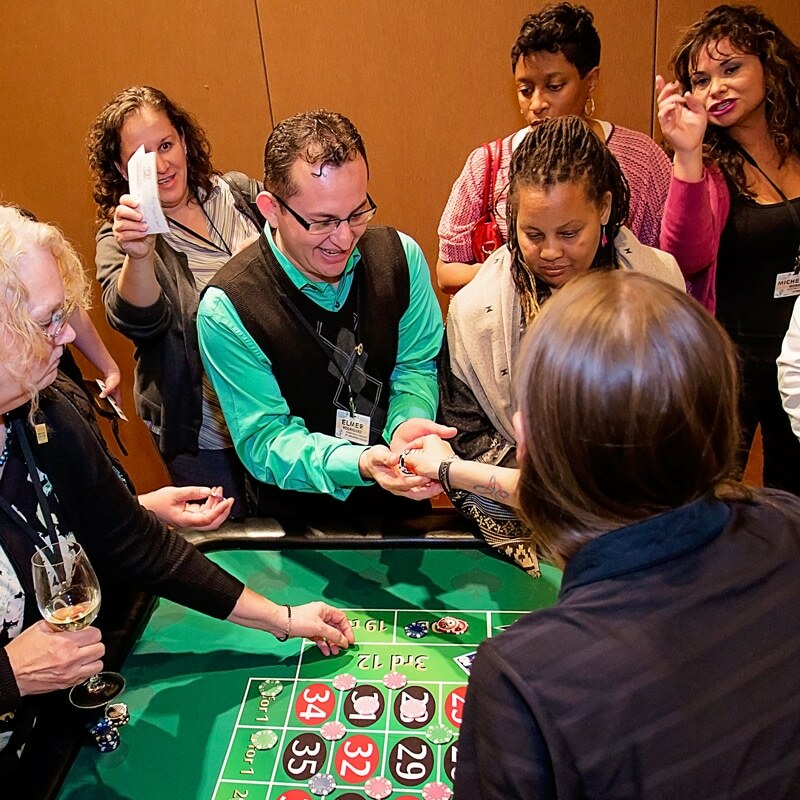 The same equipment that will arrive at your casino party or casino night fundraiser is the very same casino-grade equipment that you would find in Vegas! We’ve also been featured on celebrity wedding planner David Tutera’s “My Fair Wedding” on WEtv, as well as Lifetime’s “It’s Your Party”. We’ve hosted many charity celebrity poker tournaments as well. 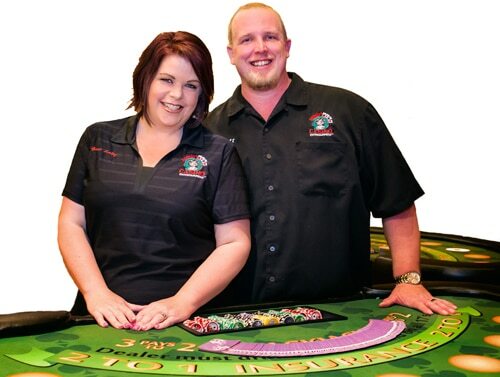 We only use the highest-quality 11.5-gram clay casino chips at all our casino night events and on all casino equipment rentals. They look and feel just like real casino chips…because they are! Found a better price somewhere else but prefer to work with us? Simply submit the written quote from one of our competitors and we’ll either match the price or tell you what the catch is with their lower price. We like to pay attention to the little things, and we think you’ll appreciate the thought and care we’ve put into our service. That attentiveness even extends to details like the quality of our custom casino money. First and foremost, we believe in honesty and transparency. With us you won’t see any hidden fees or surcharges slipped onto your contract—only straightforward pricing & policies from beginning to end! 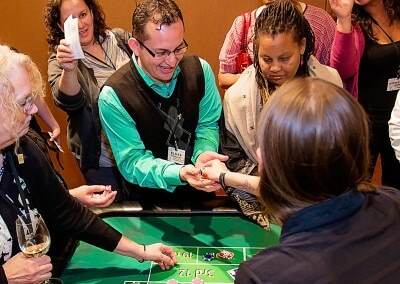 Whether it’s tracking down fun new games or adding more free tools to our website, following up with clients to see how we can improve, or researching new ways to make your experience with us even more enjoyable, we’re passionate about casino parties and we’d love to share that enthusiasm with you and your guests!